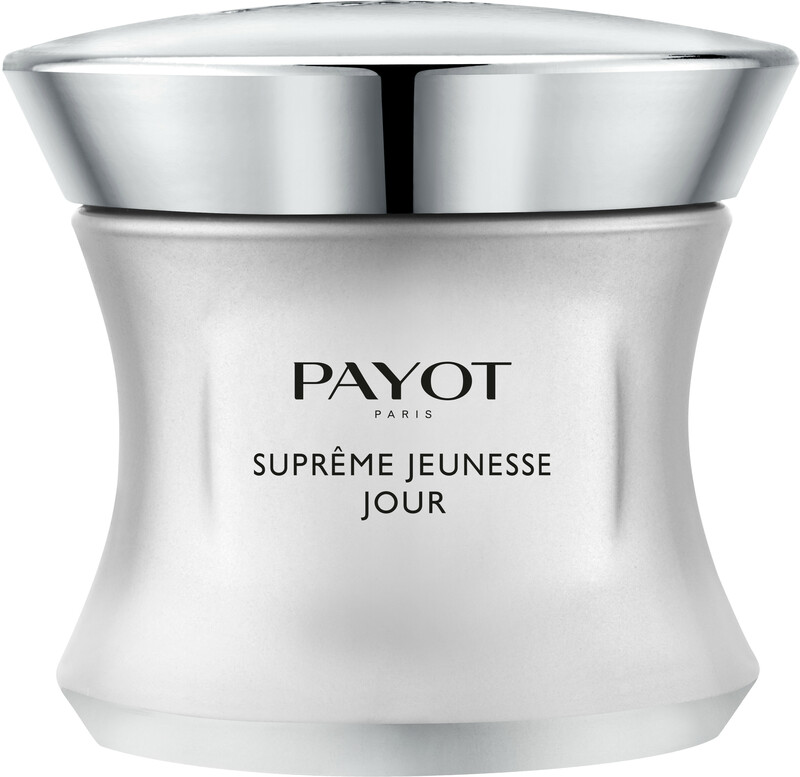 Enhance the youth of your complexion with the PAYOT Suprême Jeunesse Jour - Total Youth Enhancing Day Care, an anti-ageing day cream for all skin types. 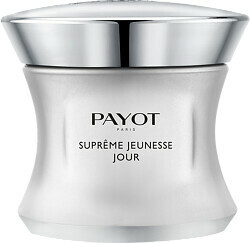 The PAYOT Suprême Jeunesse Jour - Total Youth Enhancing Day Care will revitalise the complexion, reinforcing the skin cells’ ability to protect itself against cellular damage from external aggressors. At the heart of the formula, a Youth Process Complex boosts the skin’s natural defences and targets signs of ageing, smoothing wrinkles, fine lines and restoring tone and volume. Magnolia and orchid extracts work alongside hydrating hyaluronic acid and brightening vitamin C to restore the skin’s youthful glow, while an ultra-feminine floral scent uplifts and inspires the senses. AQUA (WATER), GLYCERIN, BUTYROSPERMUM PARKII (SHEA) BUTTER, ETHYLHEXYL PALMITATE, ISOHEXADECANE, BIS-PEG-18 METHYL ETHER DIMETHYL SILANE, DIMETHICONE, ISODECYL NEOPENTANOATE, BUTYLENE GLYCOL, POLYMETHYLSILSESQUIOXANE, AMMONIUM ACRYLOYLDIMETHYLTAURATE/VP COPOLYMER, CETEARYL ALCOHOL, CETEARYL GLUCOSIDE, PENTAERYTHRITYL DISTEARATE, CAPRYLIC/CAPRIC TRIGLYCERIDE, PARFUM (FRAGRANCE), SYNTHETIC FLUORPHLOGOPITE, PHENOXYETHANOL, SODIUM STEAROYL GLUTAMATE, CHLORPHENESIN, ETHYLHEXYL STEARATE, CI 77891 (TITANIUM DIOXIDE), ASCORBYL TETRAISOPALMITATE, TOCOPHERYL ACETATE, DECARBOXY CARNOSINE HCL, O-CYMEN-5-OL, TETRASODIUM EDTA, CITRIC ACID, ALGAE EXTRACT, POLYGLYCERYL-4 DIISOSTEARATE/POLYHYDROXYSTEARATE/SEBACATE, SODIUM HYALURONATE CROSSPOLYMER, SODIUM ISOSTEARATE, BIOSACCHARIDE GUM-1, SODIUM HYALURONATE, UNDARIA PINNATIFIDA EXTRACT, TIN OXIDE, BHT, MAGNOLOL, ORCHID EXTRACT.